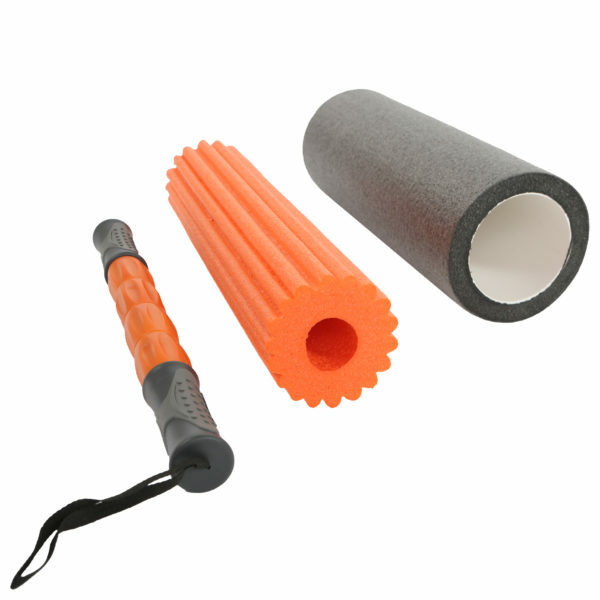 The Mambo Max 3-in-1 foam roller combines 3 different foam rollers in one package. Thanks to its smooth surface, the outer part is perfect for a superficial massage. The second part has grooves which can be used for a deeper massage and to exercise higher pressure on a trigger point. Finally, with the inner massage stick it’s possible to put more pressure on sore muscles to improve blood circulation and the muscles’ recovery time.